Potter's Parlour is Now Open! We're very excited to announce a new addition to the Village Pottery family. 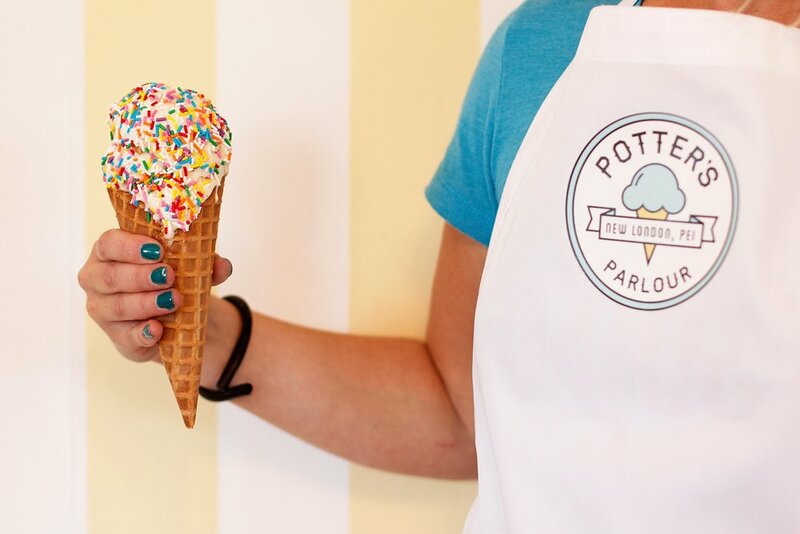 Introducing... Potter's Parlour! Set in a historic yellow house next to the shop, this building has been restored and is now home to an ice cream parlour + cafe. Here you'll find ADL ice cream, Samuel's Coffee and locally baked goods. There are also ice cream flights, sofa floats, affogato and more! Outside you'll find a large deck and lawn games so there's something for everyone. Potter's Parlour is open daily until the fall and we hope you'll enjoy checking it out while you visit the pottery shop this season.